The Newton Subsea Gripper is a single function manipulator for the BlueROV2 and other subsea vehicles. It’s the result of several years of effort starting with a senior project in 2016 and evolving into the current design over several iterations. Each element was carefully designed and combine to create an awesome ROV tool. 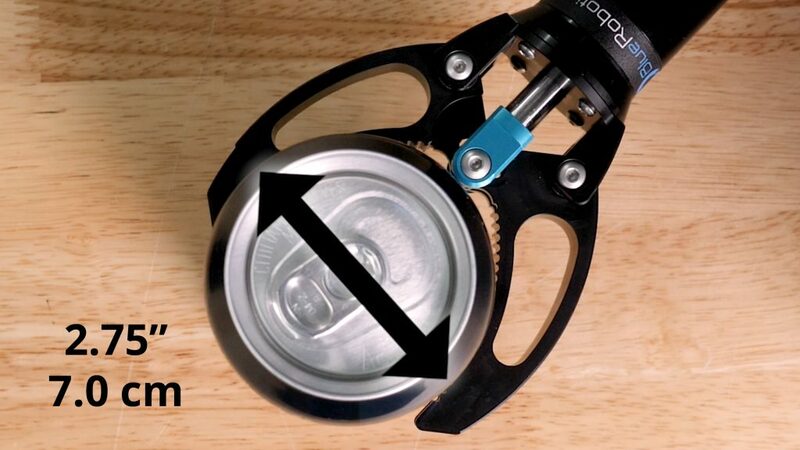 The gripper has jaws that open to grab objects up to 2.75? or 7cm in diameter. The plastic jaws are mounted with custom aluminum screws to create a corrosion resistant mechanism that doesn’t need any lubrication. 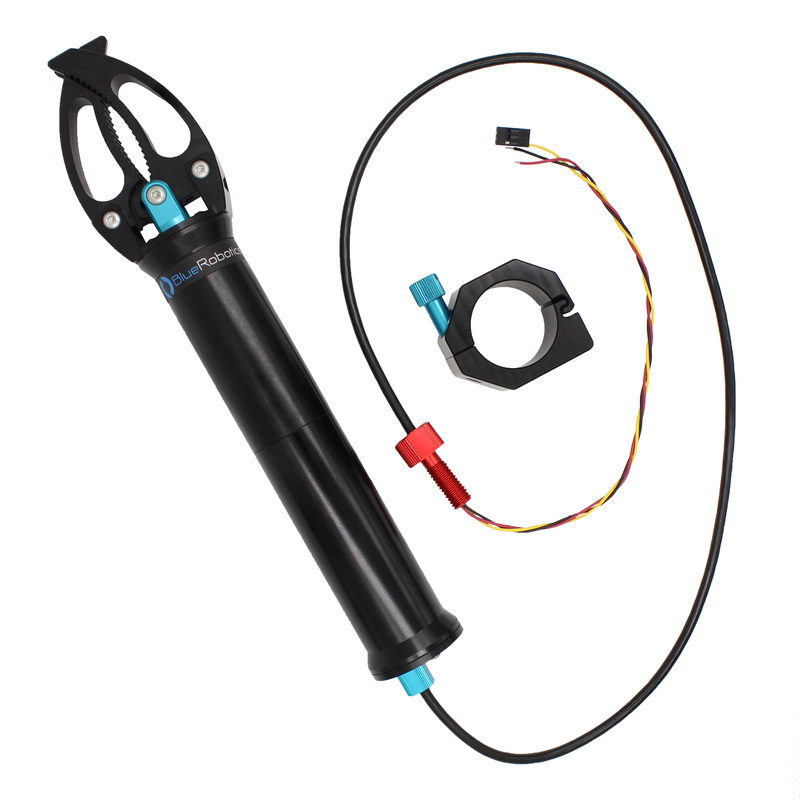 The jaws are driven by a linear actuator that uses a geared brushed motor and lead screw. The main body is air-filled and sealed with O-rings. We’ve spent a lot of time testing it at pressure and it’s rated to 300m depth with plenty of safety factor. The motor inside is controlled by a purpose-built brushless motor controller that accepts a standard servo-style PWM signal so that the gripper can be controlled just like our thrusters and lights. Power can be provided by the same battery that drives the thrusters as the gripper is compatible with 9-18v input and draws up to 6A current. It automatically detects motor stall conditions and stops the motor so that the gripper will always stop at the right moment. Check out the launch video to see that in action! The gripper comes with everything needed to use it on the BlueROV2, including an anodized aluminum mount that uses a thumbscrew for quick retraction and rotation in the field. The mount attaches with two included M5 screws. You will have to drill mounting holes into the BlueROV2 bottom panel, but we’ve got clear instructions on how to do that in the documentation.